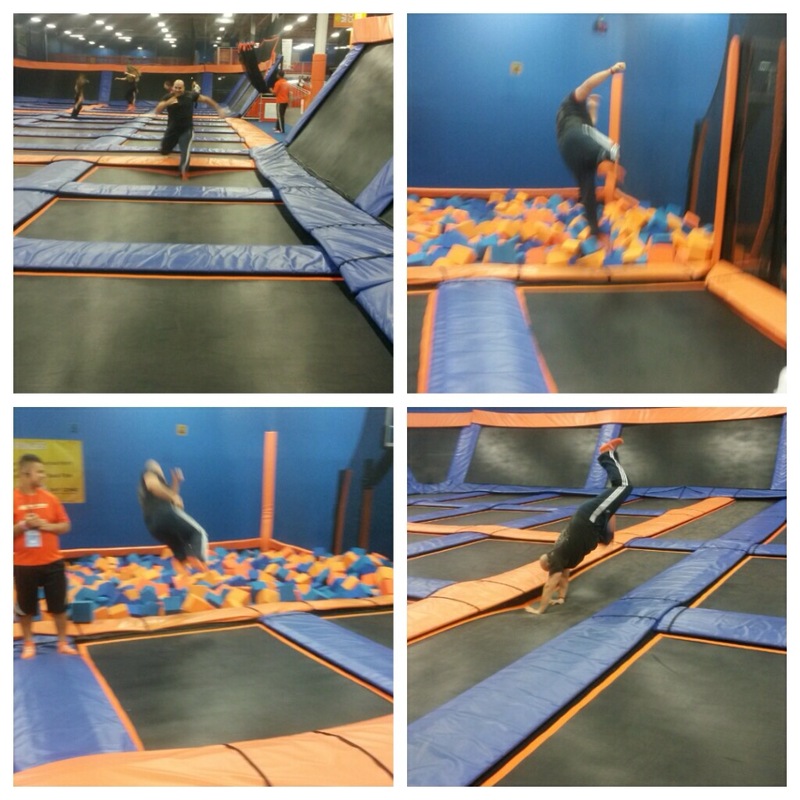 Sky Zone Pine Brook construction stage will be completed in June of 2014, and will offer open jump, a SkySlam court, SkyRobics fitness classes, Ultimate Dodgeball (when available), birthday parties, private events, group outings, and the bungee trampoline. For just about any age, shape or size, Sky Zone Pine Brook is the ultimate 3-D play experience! Waivers and Sky Socks are required for ALL jumpers. Jumpers under the age of 18 must have the waiver signed by their parent or legal guardian. 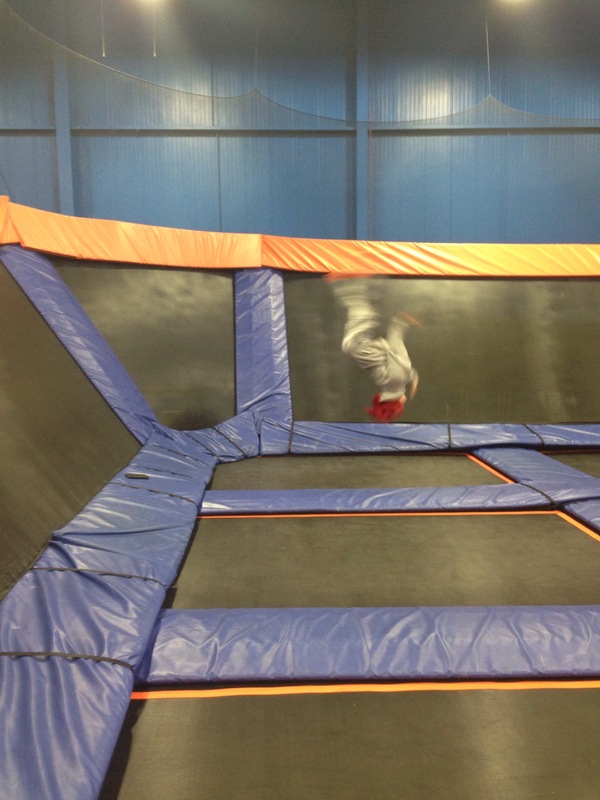 Visit the Online Waiver to read our waiver policy and complete a waiver on line before arriving at Sky Zone. Please purchase tickets on line as we have a capacity limit and cannot guarantee your jump time for walk ins. Tuesday – Friday 3:30 P.M – 9:00 P.M.
Tuesday & Thursday: 12:00 .P.M – 2:00 P.M.
Saturday & Sunday: 9:00 A.M. – 11:00 A.M.
SAVE TIME! Fill out our waiver on line! Click the button in the upper right hand corner! Waivers are required for all jumpers. Jumpers under 18 must have their waiver signed by their parent or legal guardian. Walk-ins welcome but court capacities are limited; hours subject to change. Open daily for special events! & group outings: Call for reservations! Sky Socks are $2.00 and yours to keep. Our SkySocks are washable and reusable, if you already purchased SkySocks previously you may use them again. Think you’re good? Grab your friends, form a team and prove it at our Ultimate Dodgeball Tournament! 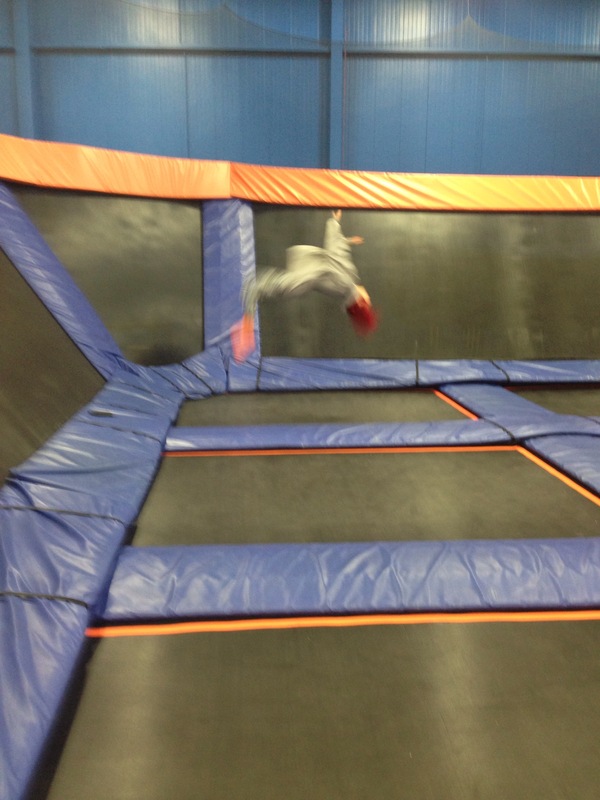 Burn up to 1,000 calories an hour on our wall-to-wall trampolines! SkyRobics is low-impact, healthy fun that combines calisthenics, core exercises and strength-building aerobics. SkyRobics is one of the most dynamic, effective and active workouts you can get! To AMP up your workout- try our SkyFIT class! 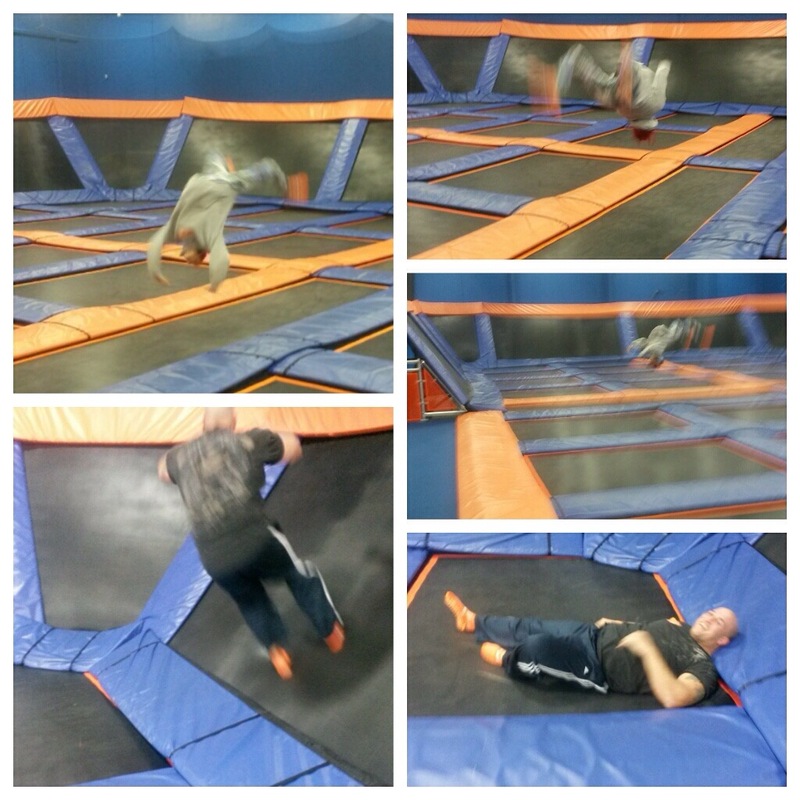 SkyFIT combines an intense full body workout on our trampolines – with aerobics/Cross Fit/HITT/ and agility training! It’s the ultimate workout for any level of athlete! $15 per 60 minute class! I was disappointed about the way they controlled the foam pit like Nazi’s! There was 5 or so trampolines to jump into the pit and only 2 at a time were able to jump. That caused a huge lineup and literally wasted most of our time! Then they kept saying we need to take a 10 min break so they can re-puff up the foam blocks. The dodgeball was a total disappointment as it is improperly managed! They make teams and that’s it! If you want to play you have to stand there and wait and lose your time! What should happen is either they make teams and one person gets out another goes in, until everyone waiting is dead. Or make teams and take names for the next team and call the names for the new team over the loudspeaker and give them so much time to report! It would be much smoother and much more fair! The referee knew a lot of the regulars names and gave them preferential treatment and let them go in the game ahead of others waiting. We all pay for time! If you get mistreated, you will be less likely to become a new regular! One other thing I didn’t like was they had one court closed off for no reason! That made all the other areas more populated! Back to the parts I enjoyed; the foam pit (once you actually got a chance to do it) was awesome! Once you launch yourself into it, it is so hard to get out! I (at 270lbs) was suspended in the air and trapped upside down!! I had to forcefully roll over to my stomach and stand up then get my legs over the top of the foam and try and crawl on my belly like my army training days. It takes a lot out of you to climb out of there! It’s a great workout! Especially; when you sink all the way to the bottom and your feet are on the trampoline beneath the foam blocks. They also have a basketball area where you can do trick slam dunks, but I don’t care for that. 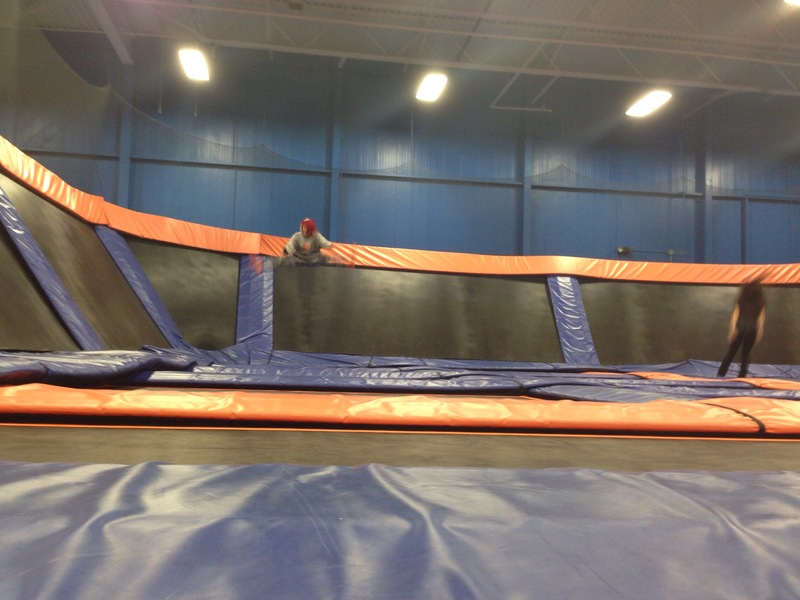 The actual jump arena is cool as they have slanted trampolines for walls and you can bounce off of those too! The best part is to jump off the wall and crash and burn! Which I was doing above! Jump off the wall and let it throw you wherever you go! Don’t try to land it! But remember how to fall properly if you do that! Don’t try to put your hand down to stop you, keep your hands and head tucked in! You can even tuck in your legs like a cannon ball! Just hope you don’t land between the trampolines on a hard spot lol! 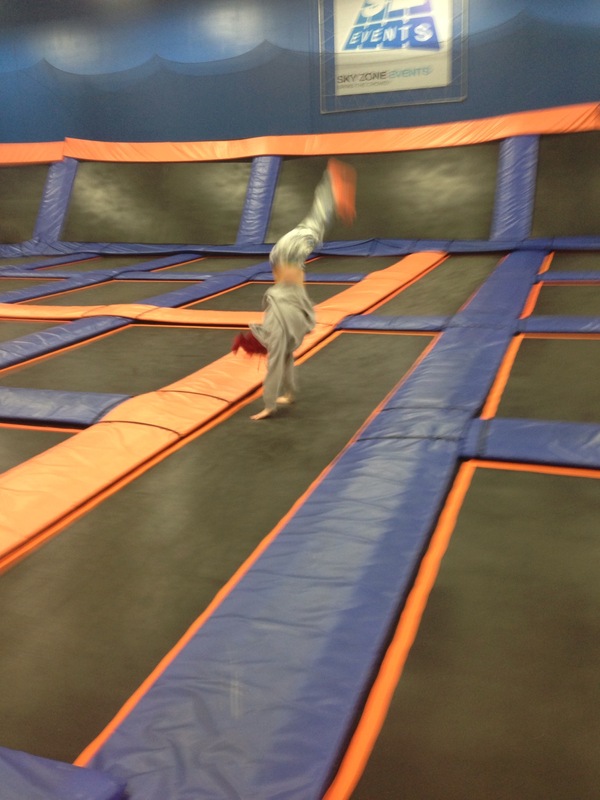 Speaking of; one of the problems I had was jumping between the trampolines. Getting the forward momentum was hard! 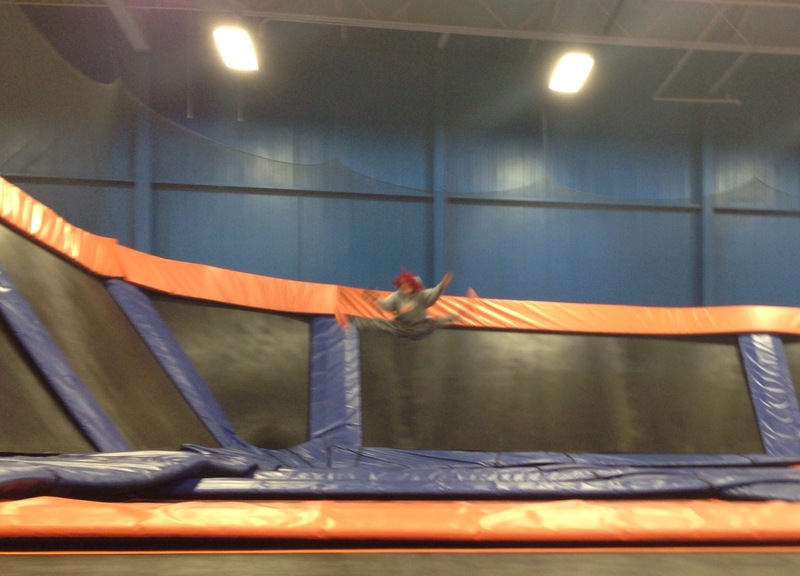 I always landed on the hard part between the trampolines And it hurt my knees. That’s where running down the trampolines came from lol. Let me tell you running down them is also a killer workout! Just do sprints back and forth! I was also running across all the trampolines however you have to rub kind of goofy like you are jumping over the hurdles on a track as you will see when you try to do it! My wife was doing more advanced stuff like: backflips and back handsprings. I did a cartwheel in one picture lol. That’s as much as my gymnastics goes. I’m too big to flip now, unless I’m flipping into the foam pit! You can also do flying martial arts kicks into the foam pit lol as I did in the one picture. Overall just have fun, be a kid and enjoy life! And get a workout in the process! If you are old or elderly, just jump. Jumping in one spot only will give you a great workout! And you can do something with your children/grandchildren. Rebounding is beneficial for people with all kinds of injuries! See my article on rebounding here on this site! They even have a snackbar that wasn’t too shabby! If you are hungry or thirsty check it out! (If you will be there for a while remember to hydrate! You will need to drink a lot! **Hint** I will give u a hint! They give you socks like they give in the hospital with the grips on the bottom. Do not take off your socks! Place those socks over your socks! If you do what I did and replace your socks, you will lose their socks in the foam pit and you will be barefoot and have to walk around the dirty floors back to the front desk to get more socks! If you put them over your socks they will create friction and remain in place!